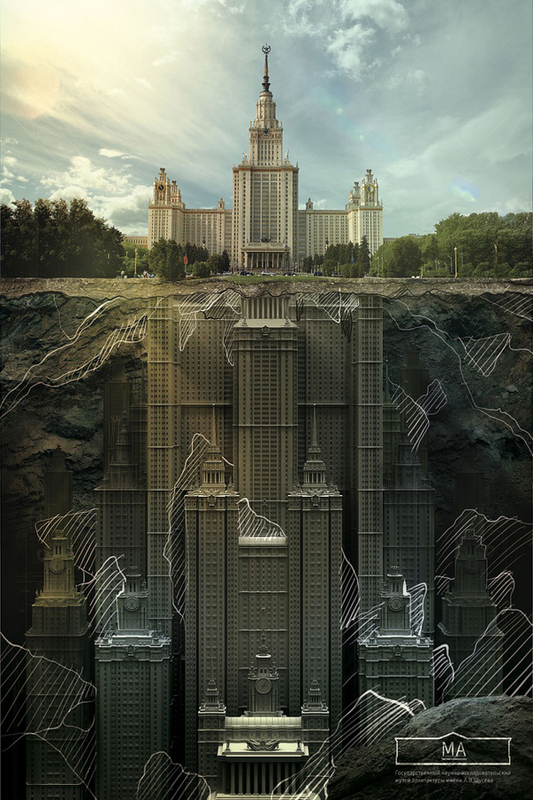 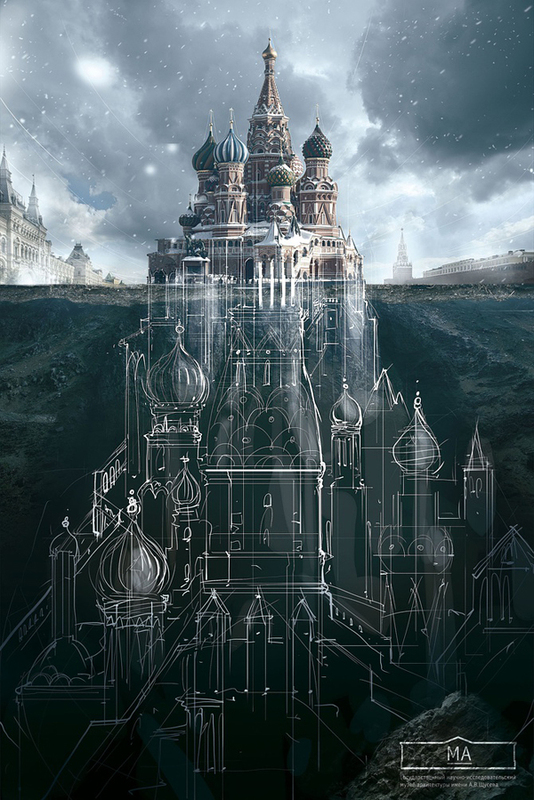 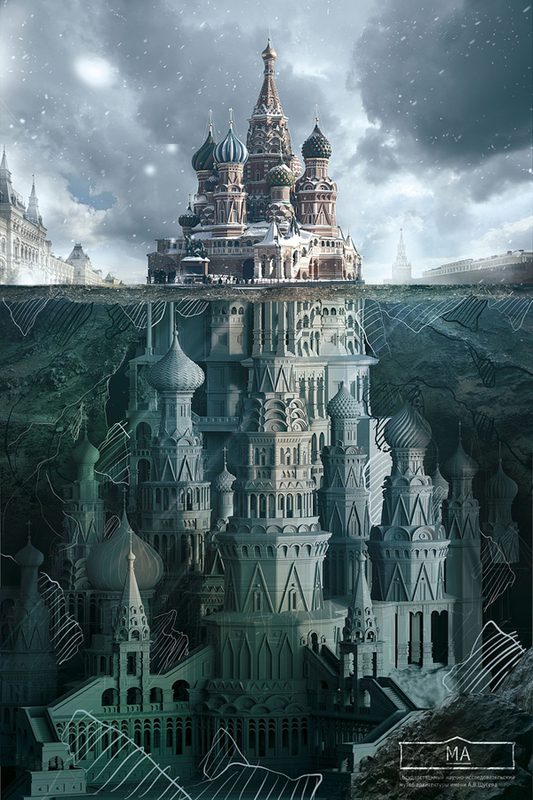 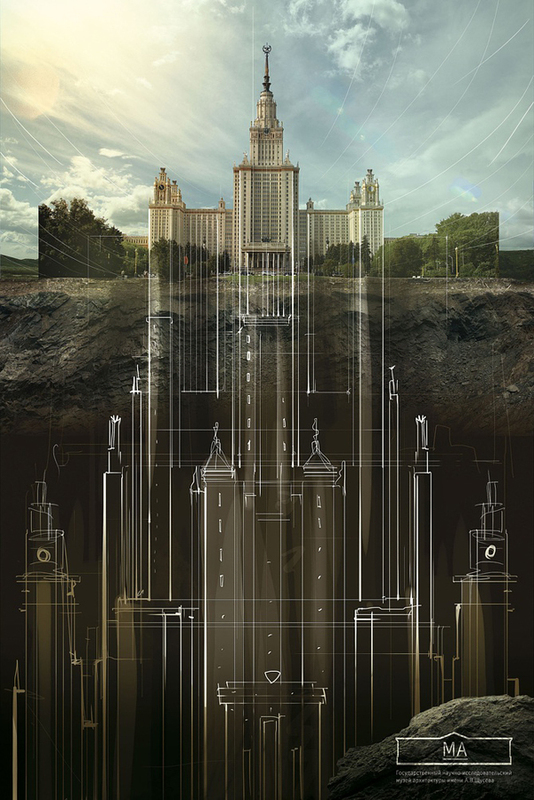 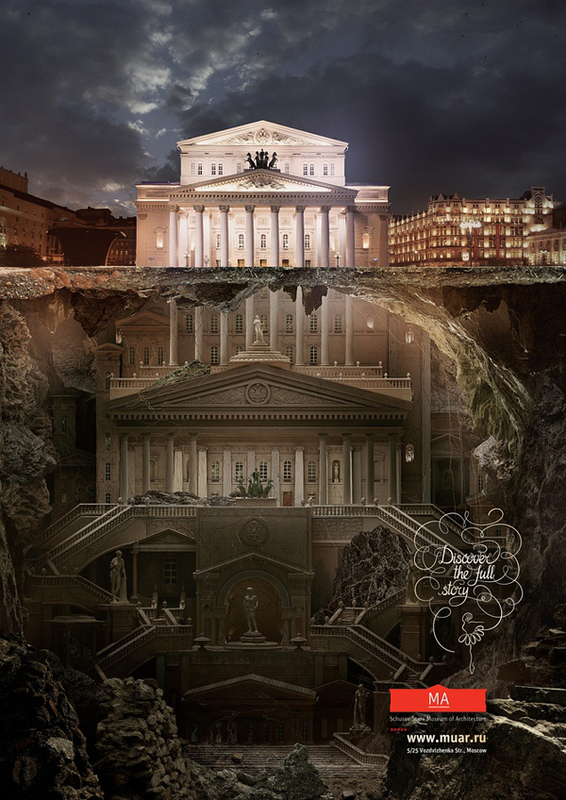 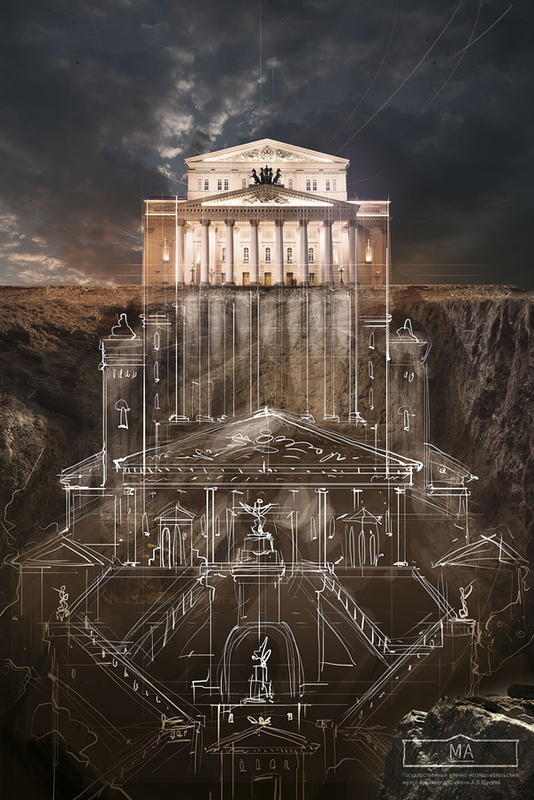 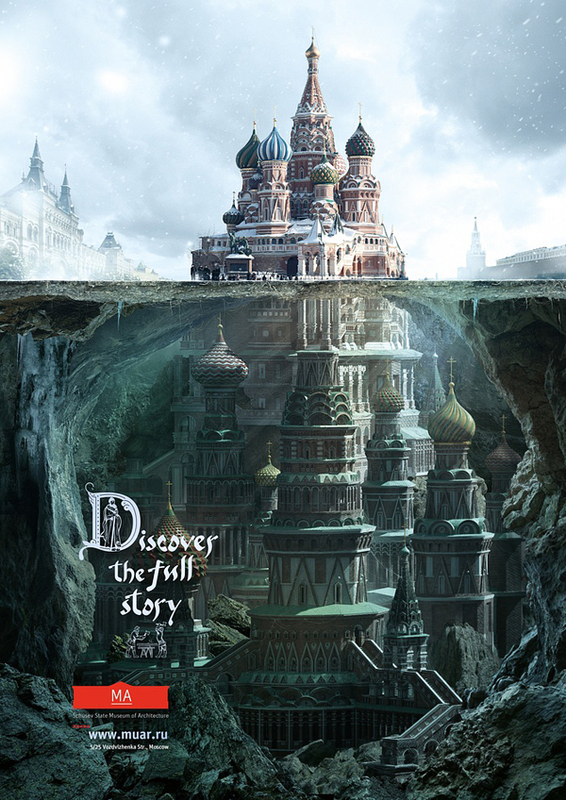 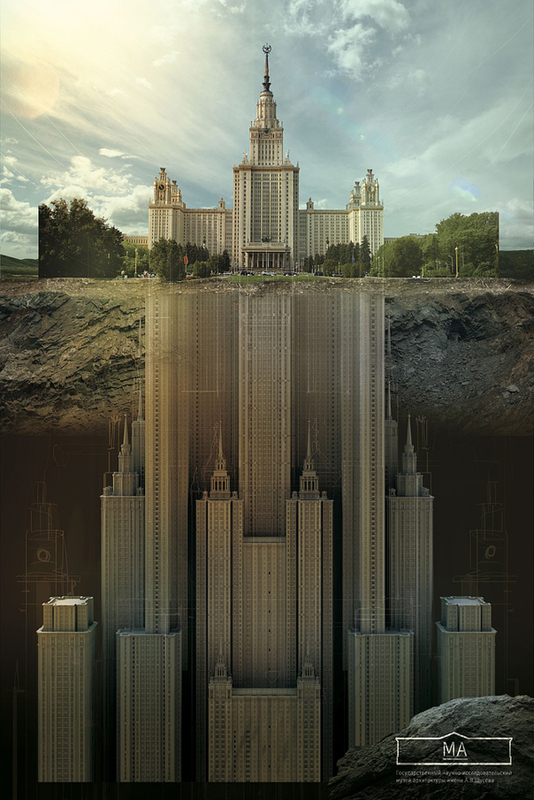 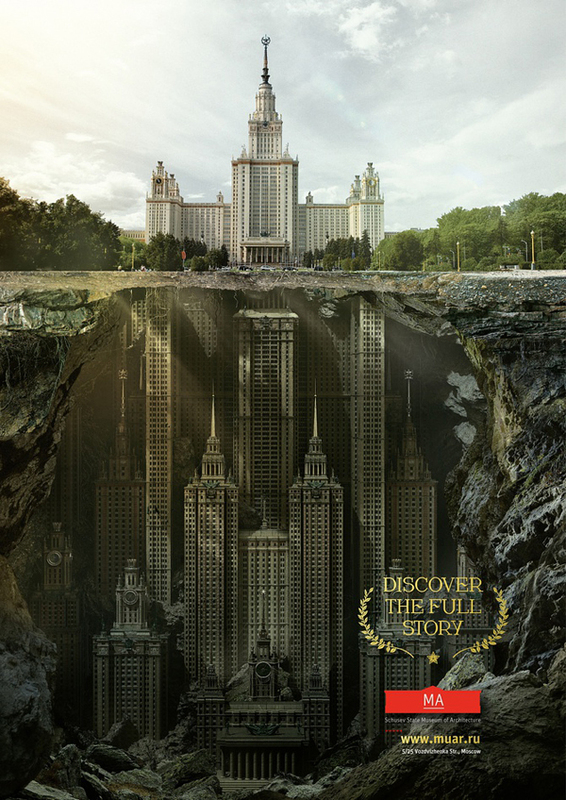 The Schusev State Museum of Architecture has a new ad campaign out, and it’s called “DISCOVER THE FULL STORY”. 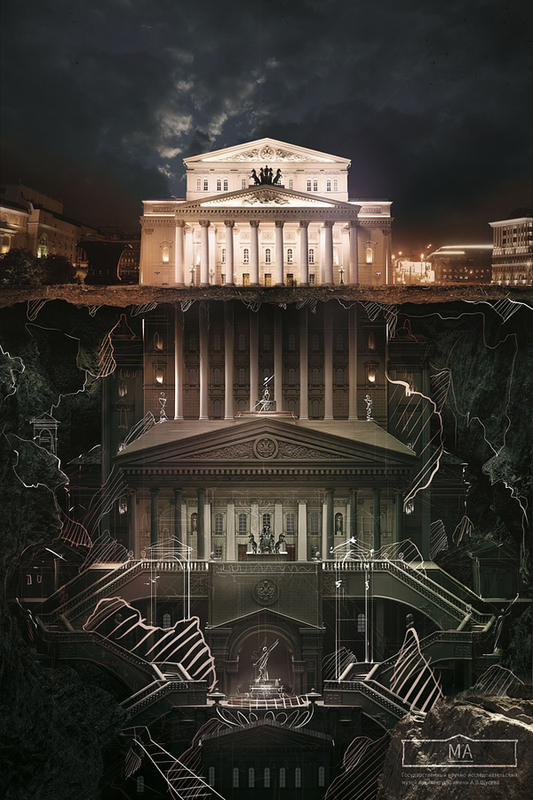 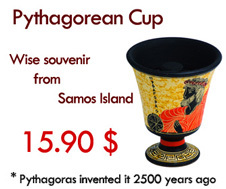 This campaign is aimed at increasing awareness and interest of tourists and locals alike about the museum AND the city where it is located. 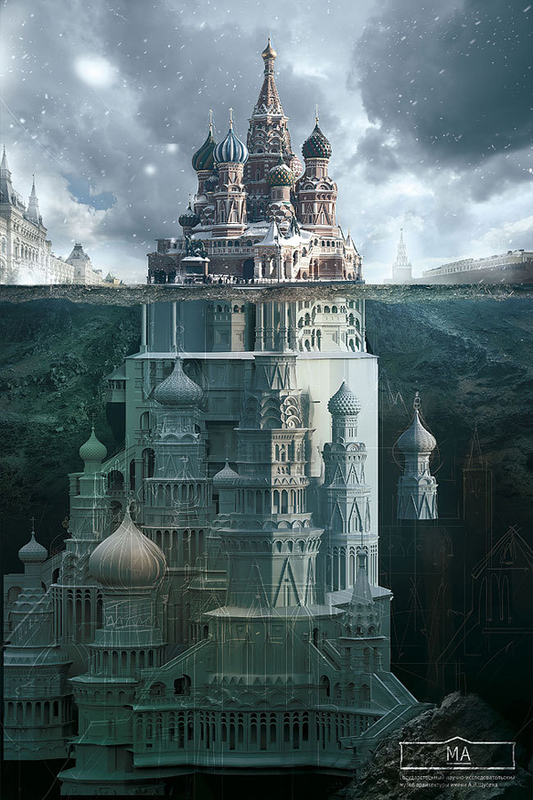 Clearly, there is more to this city than what you can see. 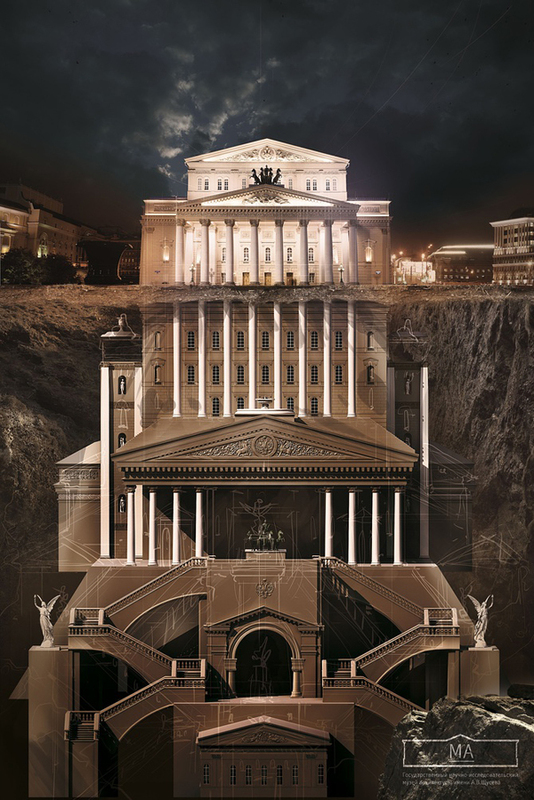 You have to dig deeper to find out the full story, hence the images designed by creative agency Saatchi & Saatchi.